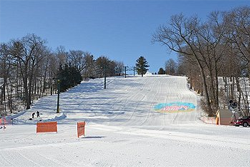 On behalf of the Ausblick Board of Directors and General Manager Dennis Evinrude, Welcome to the upcoming ski season at Ausblick. Fall has arrived and Ausblick is in the process of preparing for our 2015-16 Ski Season. Events throughout the season have been scheduled and should be posted on our website calendar soon. Our annual Ski Sale is scheduled for Sunday October 25th this year. Sale doors open at noon and the sale will close at 2pm this year. For Members dropping items off for sale, please note the Saturday and Sunday drop-off hours on the flyer previously sent out. If you’re one of our new members this season, Welcome to the Club. I’m certain you’ll find the experience everything you’ve hoped for, possibly more? As a reminder, we require all new members to attend an Orientation session to familiarize you with important aspects of the club. 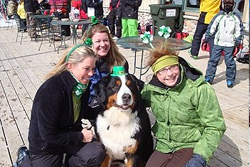 It also provides you an opportunity to meet a few Board Members and representatives from Ski Patrol, Ski School and the Race organization. Orientation dates are: Wednesday, December 2nd (6:30-8:30PM) and Sunday, December 6th. (1:00-3:00pm) New Members are asked to contact Vivian Clark or Dennis Evinrude to schedule either session for attendance. As we approach the season, watch for updates via e-mail and Constant Contact. It’s very important to ensure we have current e-mail addresses on file. We do our best to refine our list as we are able, so please e-mail General Manager Dennis Evinrude with any change of e-mail.